Worksheets and checklists get your students involved and interacting with the content in your course. Sprinkling these throughout your content creates kinetic action as students to start to download them as reference. It often makes students feel more secure in their knowledge if they have something tangible in hand. 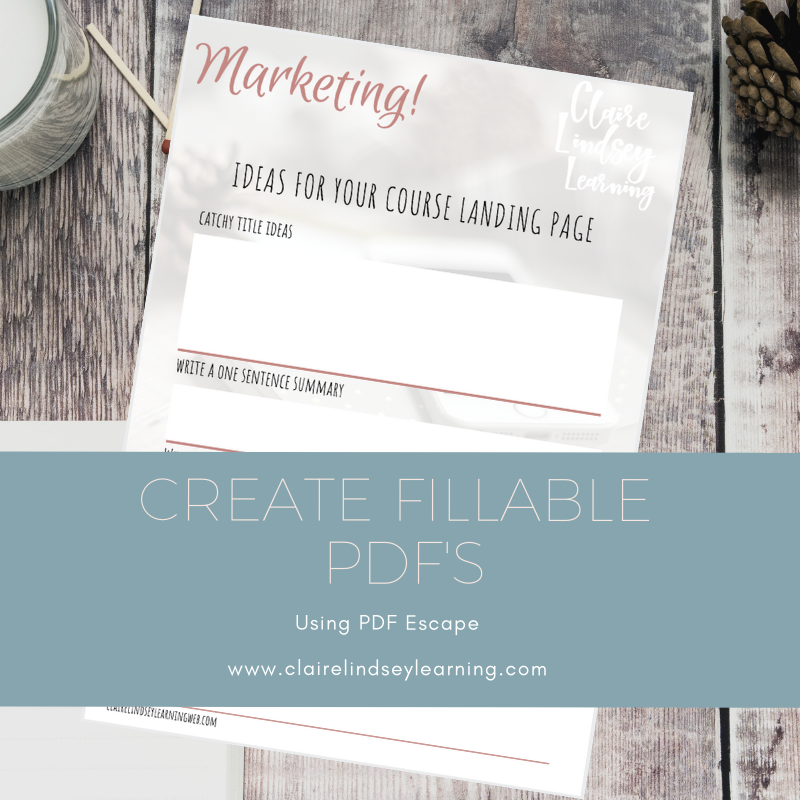 It can also be professional to make the pdf’s fillable. With these, students can choose to type in their answers and save them. It is best if you give students instructions to do this as filling in answers on a browser is possible, but they won’t save and this can be frustrating after you’ve typed answers in. Err on the side of more instructions, and don’t assume anything. For best results students should download the pdf and open it in Adobe Reader or they can use an online resource such as PDFEscape. I make my PDF checklists and worksheets in Canva or Keynote and then export them. To make them fillable I use PDFEscape which is free and quick to use. I have a video below that shows you how to add the form fields so they are fillable paragraphs. Have fun making them for your course. 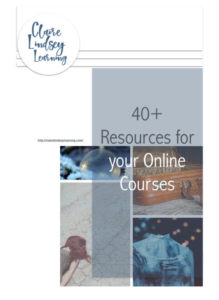 This is just one of the resources I provide in my E-Book 40+ Resources for your Online Courses. If you want to save yourself tons of time, tech headaches and avoid spending money on tools you don’t need, then this is for you. Grab your copy!